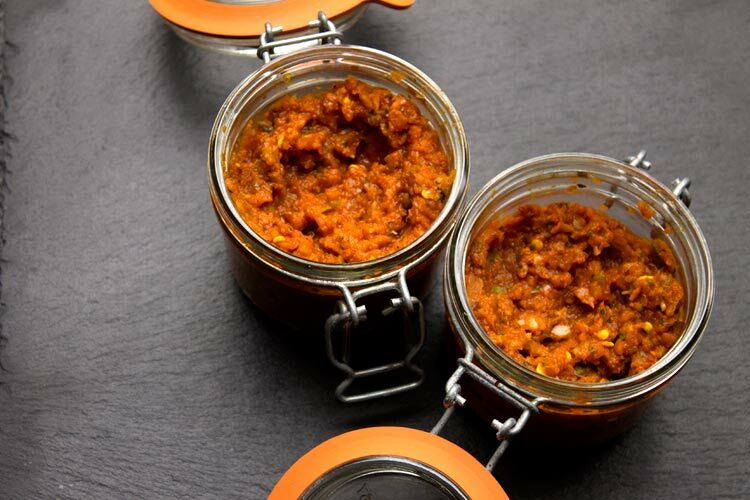 If you want a hot spicy sauce that’s made in minutes give this recipe a whirl. I found it in a small recipe book, that’s part of a collection that have recipes from different countries. This was the one for India. This is also an old twimii recipe as well as an abitmoreveg recipe. 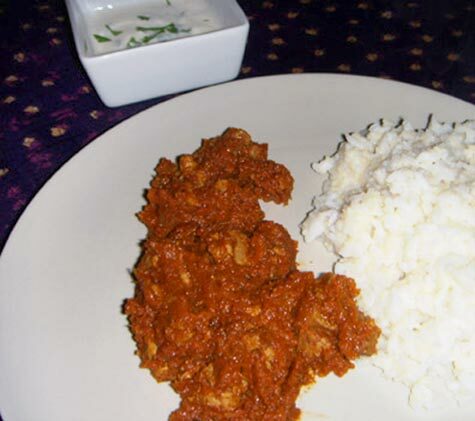 It’s one from a small recipe book – more of recipe booklet really – that features some Indian dishes and I add a couple of different spices to it – not so much in this recipe, just every time I cook it I add some more spices to it. It is great with lamb or turnip/swede/rutabaga and some greens if you want to make a vegetable curry. 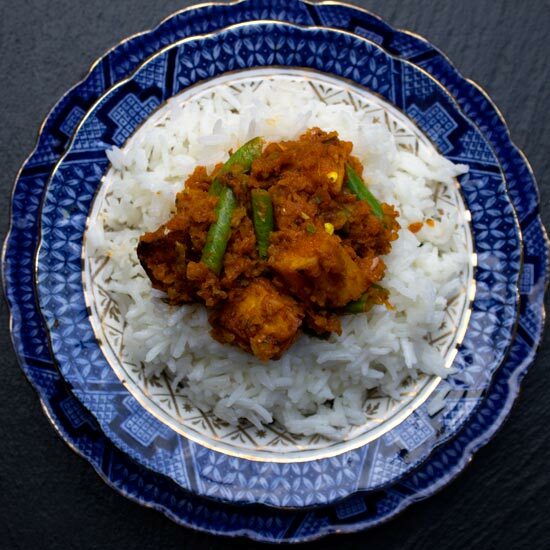 Very quick, very full on flavour and quite spicy – add some yoghurt or coconut milk if you want to cool it down. Two small jars of Balti Curry sauce. Good and hot. 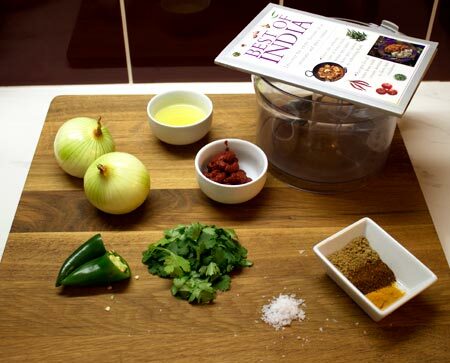 This is also the sauce used in the old twimii recipe Quick & Easy Lamb Curry. Vegetables in Balti curry sauce with rice. 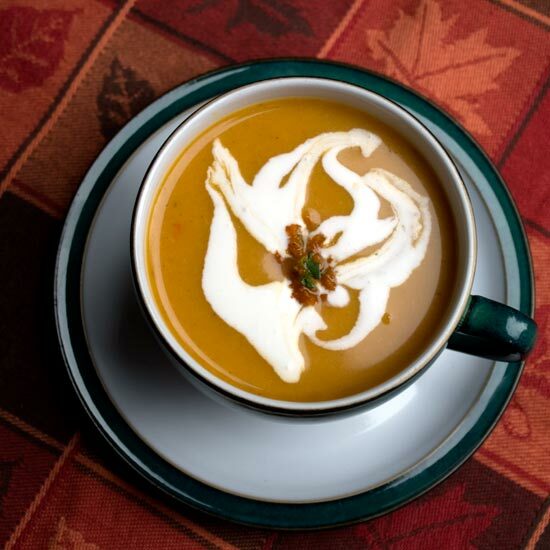 Butternut squash soup with some added Balti curry heat. 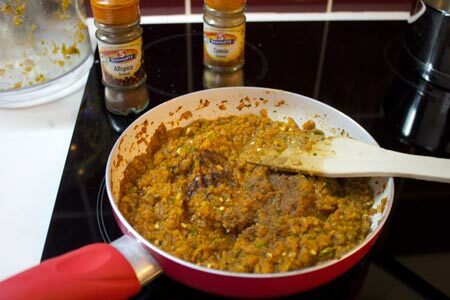 The sauce here is the one used in the old twimii recipe Quick & Easy Lamb Curry. Just fry some pieces of lamb, add some sauce and fry for a minute or two more. Very quick, very easy. And if it’s too hot for you just add some yoghurt. 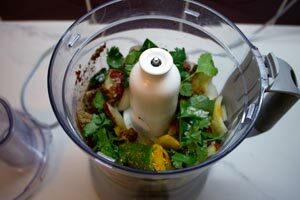 A quick, easy and hot curry sauce.